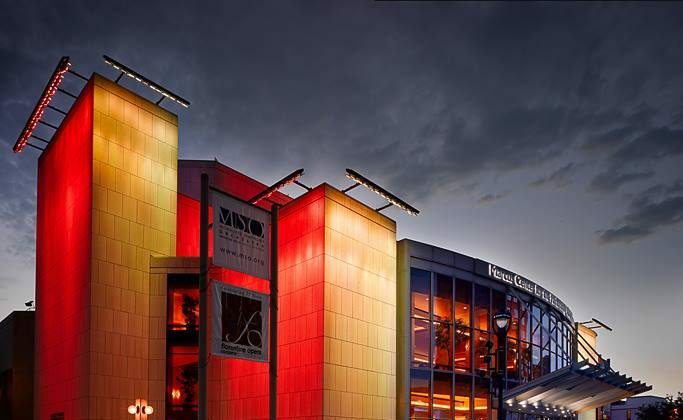 MILWAUKEE—Shen Yun Performing Arts is set to grace the stage of the elegant Marcus Center for the Performing Arts, April 14-15. Wherever the New York-based classical Chinese dance and music production goes it garners enthusiastic praise from officials, to educators to art lovers. “I was so moved. I was moved to tears a couple times,” exclaimed Professor Rob Prescott of Bradley University, after watching Shen Yun at the Peoria Civic Center on March 14. A Shen Yun program is comprised of about 20 vignettes that capture the essence of traditional culture throughout China’s 5,000 year history by telling stories from China’s rich past to present day history, mythology, and legends. Professor Prescott, said, “There is always a wonderful story.” But what really stood out for him was the subtle beauty of the dancers’ movements coupled with their precise timing and agility. He explained that it wasn’t just the stories being told on stage. “It was just the beauty of the movement. I was really moved by the movement.” he said. Accompanying him was his wife, history teacher Tracy Prescott, who said she felt the same way. She very much enjoyed the performance, and wished her students could have been there. “It’s beautiful, I love it! It makes you think a lot,” he said. “Throughout history almost every culture looked toward the divine for inspiration. Art was meant to uplift, bringing joy to both the people who created and experienced it. It is this principle that drives Shen Yun performers and their art,” according to the company’s website. Rich in history and cultural diversity, Milwaukee is a fitting setting for Shen Yun. Often called the City of Festivals, the city annually celebrates it’s rich ethnic heritage: from Germans to Poles to Hmong. Milwaukee is also home to six Fortune 500 companies, as well as ten museums. Orlando Ballet Production Director: Shen Yun Is Amazing!